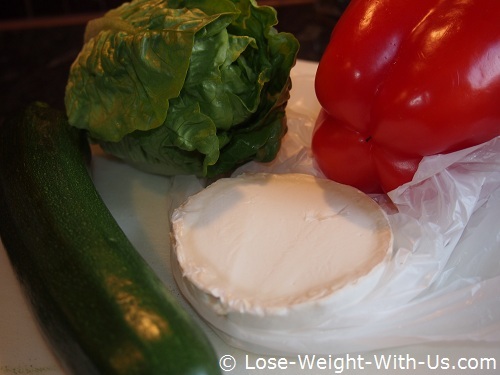 This warm goats cheese salad is a great low carb version. 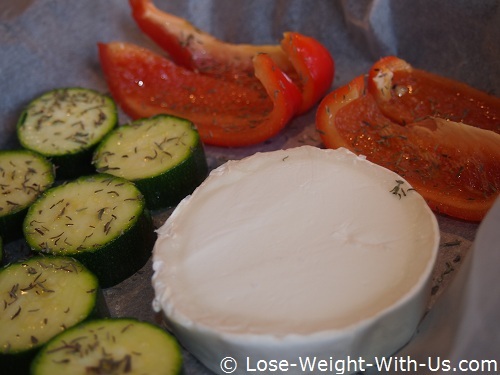 When buying goats cheese, check its carbohydrate content as they vary. Buy the lowest you can find. 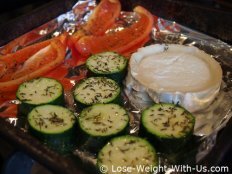 We use the Chevre Blanc goats cheese in our recipe below, it has a carbohydrate content of 0.9 grams. 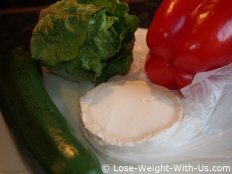 If you purchase cheese with a higher carb content, add the carbs to the count given. 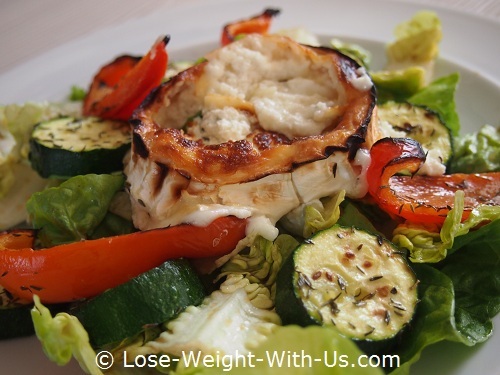 This grilled goats cheese salad recipe provides 437 calories and 7g of net carbs per one serving. 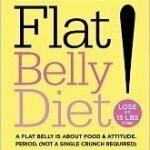 Recipe Nutritional Profile: Low Carbs, Low GI, Low Cholesterol, Vegetarian, Good Source of Copper, Phosphorus, Riboflavin, Vitamin A, B-6 and C.
Mix all the dressing ingredients together in the cup and leave to one side. Brush the zucchini and red pepper with the dressing and along with the goats cheese place on the non-stick foil lined tray. 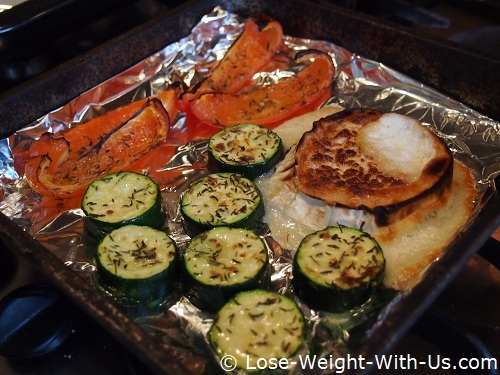 Sprinkle the vegetables with dry thyme and put the tray under a hot grill. Toss the lettuce in the salad dressing we made earlier and put onto a large plate. When the vegetables and the cheese are slightly golden, (the cheese should be bubbling) use a spatula to scrape the cheese off the foil and together with the pepper and zucchini, place on top of the lettuce.